"Quality Care with a Tender Touch"
Spring has finally sprung! We are excited to tell you about some great products that will give your body a good "spring cleaning" and a fundraising event you won't want to miss this month at ACWC. Read on to learn more! Do You Need a Re-Exam? One Day Only! Special Fundraiser April 6th. Can't make the event or just want to donate money without receiving any services? Sure! We will accept donations in any amount, as you see fit, outside of the April 6th fundraiser day by using this link to donate securely online. Please note, that the above link is ONLY to be used if you are not attending the event in person. Thanks in advance for helping out! We will also be holding a silent auction, hosting a lemonade stand and selling baked goods to raise funds at the event. Come and check out the goods and services you could win! If you would like to donate any items or services to our silent auction, please contact us immediately. Additionally, any NutriWest supplements that are purchased on the following Monday, April 8, will help Julie too. We will donate 10% of the supplement's price to Julie. Julie spent eight years in the active duty Air Force and up until December, was an active Major in the U.S. Air Force Reserves. For the last five years, she has worked on long-term orders at Schriever Air Force Base. In December of 2012, she was diagnosed with Stage III breast cancer. Julie is 41 years old. She was not on orders (on duty) at the time of her diagnosis, so unfortunately was no longer allowed to be on any future duty status during treatment. This was her sole income. She is a single woman, so that was also the only income she was getting. 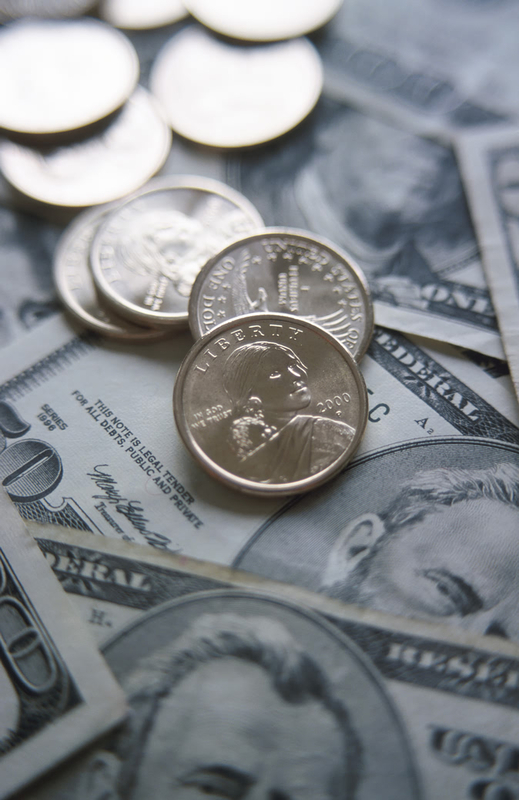 Although she has looked for other financial resources, she does not qualify for many of the programs, and cancer grants are simply not funded the way they used to be. Due to the aggressive nature and size of the tumor, the doctors decided to go with chemotherapy before surgery. Due to the side effects and all the appointments in Denver, it is difficult for Julie to look for a job to tie her over until the Medical Evaluation Board (MEB) meets. The MEB will not even begin until all her treatments are over, including surgery and six weeks of radiation. This could take months or longer to completer before she is able to work in the Reserves again. Fortunately, the VA is paying for her treatments, so her medical bills are minimal. Unfortunately, she still has to pay bills and without any income, this is a challenge. Active Chiropractic Wellness Center has decided to host Julie's Fund! To ease the financial burden so Julie is able to concentrate fully on recovery of the taxing effect of chemo. Want to donate right now, online? Follow this link. If you have had a recent accident (ie fall, car accident, injury at work, sprain, etc.) then you MUST be seen for a Re-Exam before your regular appointment with Dr. Candice. Please, do not show up for your regular appointment with an injury, as our schedule likely will not allow for the extra time that is required by Dr. Candice to do a special Re-Exam with you. Thank you for understanding! Spring is here...time to Detox! While we have several products to detoxify the body, you should ask Dr. Candice which product is right for you. Read below for an idea of some of our offerings, being highlighted this month! find relief when the body is rid of toxins that have built up. Did you know that there are seven detox pathways in the body? The liver, bowel, blood, lungs, lymph, skin and kidney all remove toxins from the body. All of these pathways should be addressed, and the proper nutrients should be provided to ensure a slow, efficient, healthy removal of stored toxins, both environmental and internal! D-Tox: Natural plant fibers such as apple pectin, rice bran, oat bran and red beet root are combined with supporting nutrients such as cleansing garlic and balancing chlorophyll, along with vitamin C and amino acids, to support the bowel detoxification pathway. Total Systemic D-Tox: This comprehensive, technologically advanced product is specially formulated to optimize support of all the detoxification pathways. From the liver and colon to the skin, lymph, lungs, blood and kidney, every eliminative organ system is addressed in an effort to contribute to a homeostatic, smooth-running system. Overall, an ideal nutritional supplement and good choice for those undergoing a whole, systemic approach to detoxification. 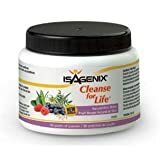 Isagenix has a cleanse in its line of outstanding nutritional products that contains powerful antioxidants like bilberry, blueberry and raspberry, which help protect your body from free radicals and support cardiovascular and brain health. Unlike diuretics, Cleanse for Life is different because it nourishes the liver and promotes whole-body cleansing on a cellular level, and helps the body better cope with stress. It also supports improved mental and physical performance and overall health. Cleanse for Life helps give your body the nutrition it needs to cleanse itself naturally!